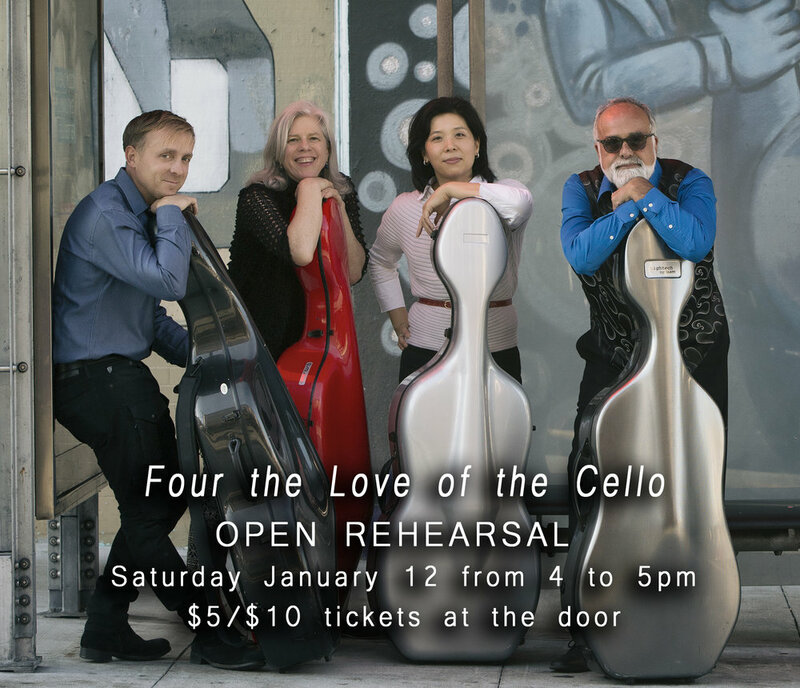 These four remarkable cellists would like to open the house during their dress rehearsal to accommodate those folks who did not get tickets before the concert sold out. $10 General, $5 Senior, and Children FREE. Doors open at 3:30. Come and hear them run through the program, smooth out any wrinkles, as we prepare for the evenings performance.